I think we all have the best of intentions going into the New Year. It’s like something magical happens when the clock strikes midnight and we take that first breathe into the new year. So many new hopes, dreams, and big plans for the next 365 days. We spend a great deal of time thinking about our physical bodies and contemplating those needs that we make gobs of resolutions and goals around improving our physical health, appearance, nutrition and physique. But, how many of us take the time to assess our spiritual health and needs? Training your spiritual muscle for a faith filled new year could be the best commitment you can make to the Lord, yourself and your family this year. Spiritual life training is a life-long commitment, not just a one-time goal or new year’s resolution. However, you can start today by implementing these simple daily practices. Thinking about the birth of a New Year brings a flurry of new possibilities into focus. We ponder a laundry list of potential changes or aspirations involving our health, homes, careers, finances, relationships, and time commitments. We get jazzed about exercising more, losing weight, eating more nutritiously, and we might even set out to run a 5k! Our newsfeeds are inundated with offers to help us save more money, organize our homes, plan our dream vacation and lose that stubborn twenty pounds with the newest eating trends and exercise programs. None of these things are bad things…matter of fact, they are all good things. My question to you though, are these the BEST things? We spend enormous amounts of time and attention on the things in life that are tangible. As it is with our human nature, especially today, in our digital society, we want quick results and immediate gratification. Therefore, we often look for the low hanging fruit and instant wins! But, when we think about making changes, especially changes that will have the greatest impact on our lives, I feel like our spirits are often overlooked. It even feels uncomfortable writing such a sentiment. As Christians, how can we neglect our spirits? Our spirit is the essential CORE to who we are. God uniquely created humans to be spiritual beings with physical bodies. Our spirits will live on when our physical bodies give way. Yet, our priorities are often backwards. We devote more time, effort and resources into preserving the temporal than we do to improving and securing the eternal. We will commit to lifting weights, running several miles and cutting out carbs to nourish our physical bodies and build muscles. But, what commitments are we willing to make to train our spiritual muscles for our eternal endurance? I would argue that we can incorporate some simple spiritual practices into our daily routines that would build a strong spiritual muscle for a faith filled new year and beyond. If we wanted to increase our physical strength and endurance, we would commit to lifting weights and doing more cardiovascular activities. Right? It is the same with strengthening our spiritual muscle. We must engage in activities that will nourish and condition our spirits. Spiritual fitness is no different than physical fitness. We must put in the time and energy to conditioning our muscles for our health, protection and survival. If we choose to neglect our physical health, we increase our risk for illness, injury, and even death. Christians run the same risk (with an even higher eternal price) when we choose to ignore our spiritual health. 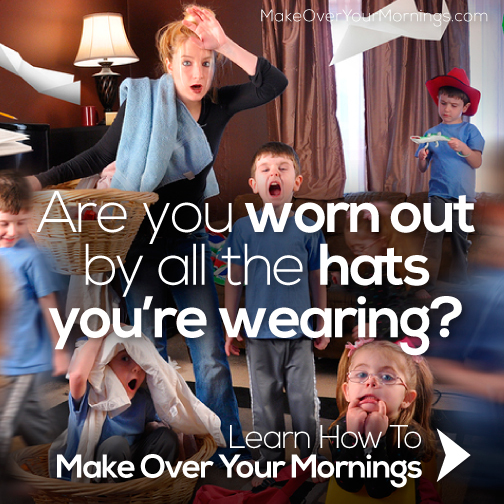 Training your spirit doesn’t have to be complicated or require hours out of our day and week. Remember, you are building a spiritual foundation that will endure a lifetime. We aren’t necessarily looking for quick wins! We are encouraged to set goals for every other area in our lives, so why wouldn’t we set spiritual goals? If you have never made spiritual goals, I would encourage you to do so today. It is never too late to start. Begin small. The world we live in is busy, loud and chaotic. There is always someone or something competing for our attention. Set aside time each day to be alone with the Lord. It does not have to be a fancy, formal experience. All that is required is that you show up! God is already there waiting for you. Unplug from the rest of the world for a set amount of time and meet with your heavenly Father. Living a Christ centered life is fueled by having an intimate relationship with Jesus Christ. This kind of relationship can only be fostered when we commune with Him daily. Committing to this time and protecting its sacredness will allow you to truly know the Lord instead of just knowing about the Lord. I did not grow up reading my bible daily. Personally, this was one of the most challenging disciplines to adopt. Growing up, the bible was read in school daily and from the pulpit in church. It was something that was always around and revered as holy and sacred. However, I feel there was an intimate disconnect. I was never really taught how to personally engage with God’s word or how to digest it and apply it to my daily life. Truthfully, the bible intimidated me. If you are personally a new reader of God’s word, let me first encourage you to not give up! Just commit to beginning. Start small. Even if you choose to read only one scripture verse per day, one Psalm or one chapter of one of the gospels, just start today and be consistent. There are millions of devotionals out there to help you get started in your journey with God’s Word. Let me encourage you by saying, there is no shame in being a beginner! You have to start somewhere! 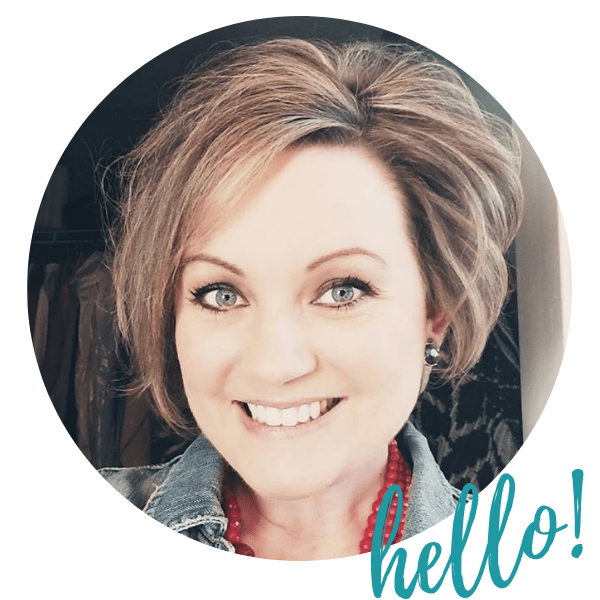 Here are some of my favorite devotionals for you to check out! I would also highly recommend getting a study bible. Although they are often times big and a little bit bulky, the life application and scripture explanations are so helpful for learning to dive into God’s word and having the information needed to read the scripture within the proper context and time period. If you want something spiritually nourishing to listen to in transit and on the go, I would highly recommend getting an audio version of God’s Word. I bought this one for my Mom for Mother’s Day and my husband for Christmas. Prayer is a conversation between you and God…period! It doesn’t have to sound beautiful or have to be professionally articulated. You can talk to the Lord at any time, anywhere. In 1 Thessalonians 5:17, Paul says to “pray continually.” Make a commitment to praying daily. Incorporate prayer into your daily activities. Whether you are on your knees, standing at the sink elbow deep in dirty dishes or you are doing laundry, invite the Lord into that space and share what is on your heart. If daily prayer is new to you, you might need some reminders. Consider setting up prayer prompts on your phone with an alarm that goes off at certain times of the day to get you into the habit of praying daily. In addition to setting up prayer time prompts, get a small notebook or set up a note on your phone to write down prayer requests and prayer praises! Prayer is powerful! Keeping a prayer journal is often a very tangible reminder for us to see how God is working in our lives and in the lives of people around us. What we consciously (or even unconsciously) allow into our lives truly has an impact on our attitudes, outlooks and subsequently our behaviors. Pay attention to the things that you surround yourself with daily. Is your environment calming, peaceful, inspirational, encouraging, or Christ-centered? If not, what small changes can you make to invite Christ into your daily spaces? One thing that was a game changer for me was listening to worship music! There is just something so special about worship music. It has a unique way of penetrating my spirit and moving me in such a way that is hard to explain unless you have experienced it yourself! There are different styles of worship music so find some that suits your taste and moves you in that special way! Before you know it, doing laundry and working out will never be the same unless you have your worship music playing! I created a few playlists that you can download here for free to get you started! One benefit of living in such a technological world is that we have so many FREE resources available to us in just a few clicks of the mouse. I would bet that most of us carry at least one device wherever we go! Whether its our smart phone, tablet or ipod, we are rarely without some device. Put it to good use and use it to nourish your spiritual muscle! We can list to sermons on the go via YouTube or your local church’s website! I’m a little biased but I LOVE MY CHURCH! Our pastors are a gift and I would love for their sermons to be a blessing to you, like they have been to me. Here is a link to our church’s sermons that are live streamed each week. What about listening to an encouraging Christian Podcast during carpool or while you are working out? Podcasts have been revolutionary to my life over the last few years! They are definitely my JAM and I would bet they could be yours too! I would love to hear in the comments what are some of your favorite Christian podcasts? Just like with any other life goal or life change, having an accountability partner makes a HUGE difference. If we know that someone is going to be checking in on us or waiting for us to show up, we do not want to let them down. Therefore, why not get a spiritual accountability partner? This can be a Christian friend or someone at church that you share your spiritual goals with and you agree to keep in touch with one another for mutual accountability. If you are serious about making spiritual strides this year, consider finding yourself someone to hold your feet to the fire. First of all, if you do not have a local church community that you are actively involved in, I would strongly encourage you to start there! If you are already part of a church family, I would love to see you get connected on a deeper level. I’m sure you have heard the saying, “you get out of it, what you put into it.” It’s absolutely true regarding Christian community. Whether its joining a weekly bible study or a small life group. Take the next step and choose to grow deeper. This is a spiritual practice that should not be reserved just for the month of November or on Thanksgiving. Fostering an attitude of gratitude is free and should be done daily. We are covered by and immersed in God’s blessings but we are often so busy, we neglect to notice. In this new year, commit to making a daily gratitude list. Try beginning and ending your day with a grateful heart. Start small. Call to mind (3) things that you are grateful for. Take it one step further and write it down. You will be amazed how this simple practice will profoundly affect your attitude and your outlook. We can commit to doing anything for a short period of time. But, for true spiritual transformation to occur, we must continue to be vigilant, proactive and intentional about fostering new spiritual disciplines and practices to nourish our spiritual muscle daily. The new year brings with it renewed energy and commitment. But then, life happens and circumstances change that hijack our joy, enthusiasm and motivation. We must not grow weary. 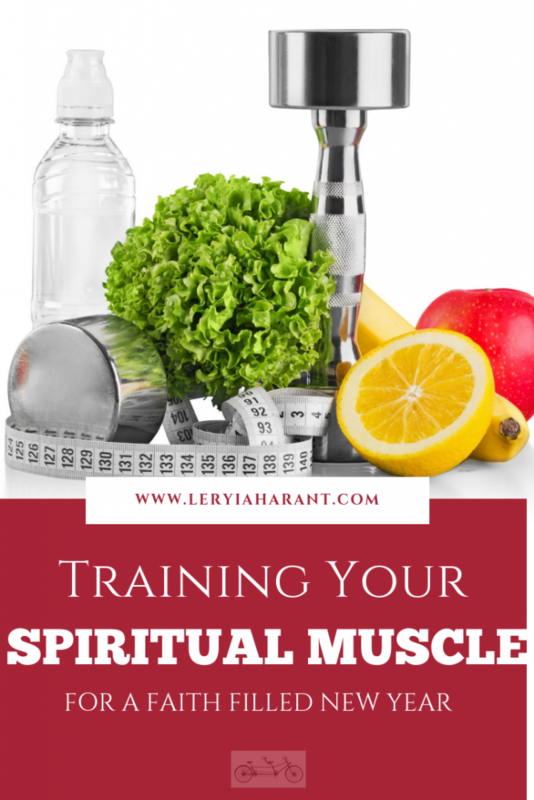 We have more than a few pounds at stake if we allow our spiritual muscle to grow weak and debilitated. Choose to do something today that will nourish your spiritual muscle. I would love to hear what are some of your favorite ways to train your spiritual muscle for a faith filled new year! We are pedaling through life not just for today, but through to eternity. We PRAY & PEDAL ON IN TANDEM WITH CHRIST & COMMUNITY!